When I was away in Ocean Grove with my mom and my sister we had some girls bonding time while we crafted. I had fun with my polymer clay and thought I would show you all what I made. 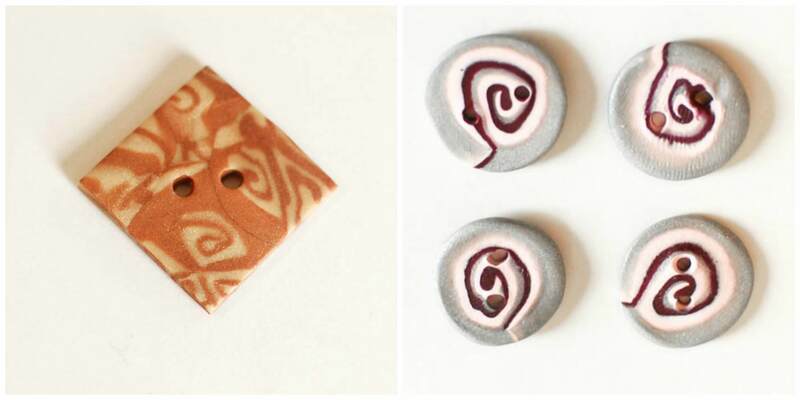 Since I am loving my other polymer clay hooks (see here) I made another one. I think I even love this one best! 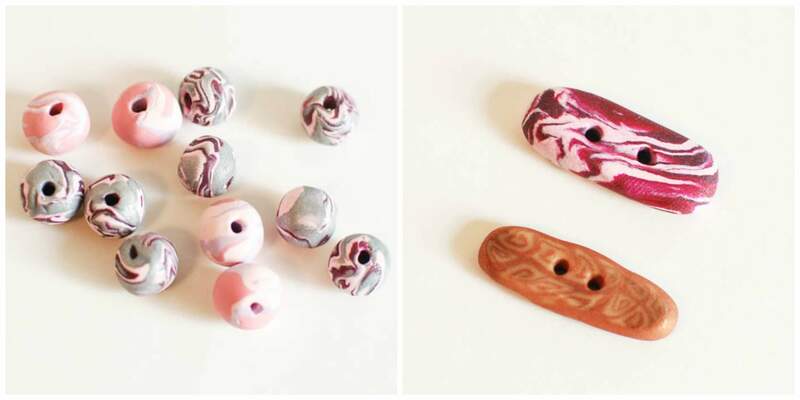 And I find the clay to make it more comfortable to work with since it is a thinner hook. 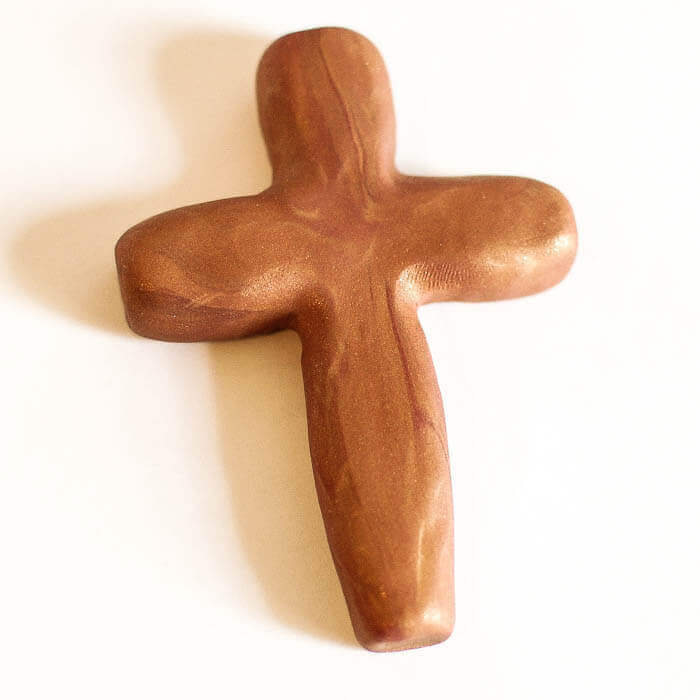 And I’ve been loving a wooden cross I keep seeing in a catalog I get and thought I would try to make one like it out of clay. 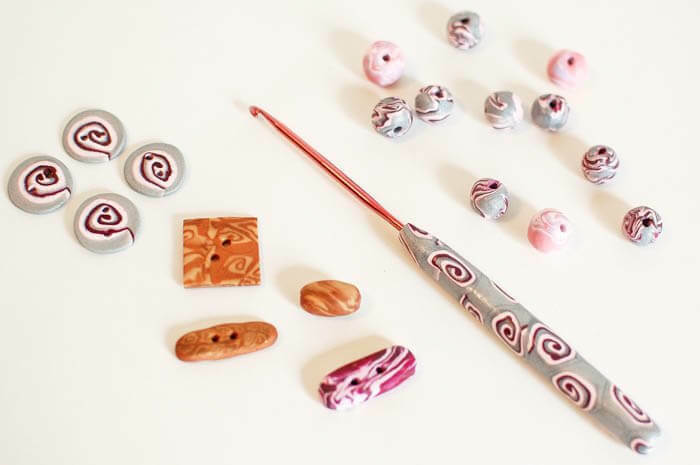 great idea for the crochet hook handle, I must do that myself! Did you bake the clay with the hook in place, or add it afterwards? Ooh, you will be a full-blown addict in no time! 🙂 The experimenting, I think, is half the fun. I’m getting the itch to clear off my work table and get back to it myself. Thanks for linking back to my tutorial!